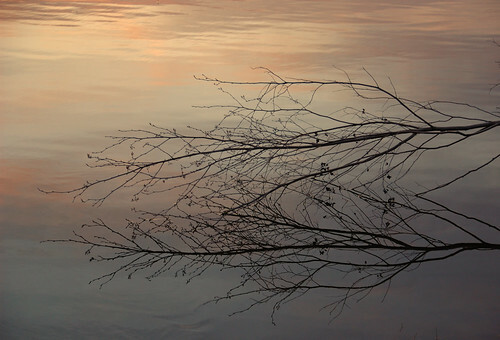 Photo by kiwikeith used under a Creative Commons license. Peter Orner, The Second Coming of Mavala Shikongo (Little, Brown, 2006). Larry Kaplanski, late of Cincinnati, is teaching at a Catholic school in Goas, Namibia, an invented place in rural, north central Namibia. (One writer suggests the school is below the Erongos Mountains, near the Kuiseb River, and says Orner’s Goas is a highly abstracted location, which may disturb those who know Namibia.) Kaplansk, as becomes known, is perhaps the central character, but he is surrounded by a cast of fully realized colleagues, including Obadiah and Antoinette, Vilho, Festus, Dikeledi, Auntie Wilhelmina, and, notably, Makala Shikongo, a kindergarten teacher and a veteran of Namibia’s war for indepedence who disappears weeks into the school year and later returns, unexpectedly, with an infant son. Like everyone else, Kaplansk is infatuated with her; unlike everyone else, he finds herself in a relationship on the sly, two marginalized teachers catching time at the edges of a very small community. While the relationship between Kaplansk and Shikongo drives the story, such as it is, there is so much more going on in this novel. One of the best books I have read in a while. Here is a brief bio of Orner. Blackbird has some excerpts. Orner’s site has one too. Brien Michael (The Quarterly Conversation) writes that the true love story here is Orner’s infatuation with the Namib desert. Sheridan Griswold (Mmegi) writes that it is a work on Africa that belongs to Africa, even though Orner is a foreigner. Mark Schone (The New York Times) says Orner hits the right notes and no others. Steve Almond (The Boston Globe) calls it the genuine article, a miraculous feat of empathy, a book of astonishing beauty. Stephen Elliott (The Huffington Post) says the loneliness of the veld pervades every page. 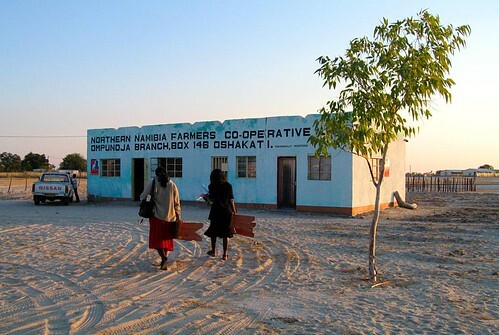 Mario Bruzzone (SFStation) says Orner neither misunderstands nor romanticizes Namibia. Marshal Zeringue (Campaign for the American Reader) has the story behind page 69. Zimbabwean Alexandra Fuller (Salon) says it’s required reading, the standard by which writing about southern Africa should be set. Rick Kleffel (I think) (The Agony Column) says it’s a cunningly written deadly addiction. Sean Carman (Maud Newton) writes that Orner captures rural Africa. Here are more reviews from Michaux Dempster (Blackbird); Sandy Amazeen (Monsters&Critics); Eric Siegmund; McKay McFadden (Boldtype) (scroll down); TheWordyGecko; Jack Goodstein; Tracy Hodnett; and Bri Johnson (Chronogram); You can watch this review, or listen to Marrie Stone interview Orner. It didn’t make it out of the first round in the 2007 Tournament of Books, but Di Mackey sees lots of raves. Orner wrote about Namibia two years ago when a visit by Angelina Jolie and Brad Pitt made the news. Apropos of African schools, Michelle Richmond recommends this essay by Binyavanga Wainaina in Bidoun. The otherwordly Namibia described in this New York Times travel article seems to be a different country from the one Kaplansk teaches in. Photo by SnapsterMax used under a Creative Commons license. E. Annie Proulx, Postcards (Touchstone, 1994). Sara Rimer profiled Proulx after the success of The Shipping News. Aida Edemariam profiled her for the Guardian a decade later. David Bradley reviewed it for The New York Times. Gingerburn comes to its defence. Here is a quiet recommendation from mister anchovy. Christ-topher calls it a tale of molasses-paced loneliness and estrangement. The book won the 1993 PEN/Faulkner Award for Fiction. On the Fond du Lac reservation. 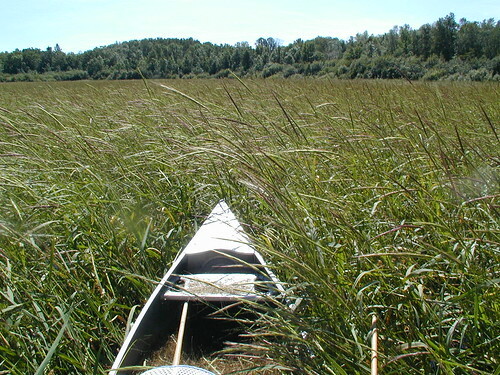 Photo of canoe and wild rice by egasor used under a Creative Commons license. Jim Northrup, Walking the Rez Road (Voyageur Press, 1993). A collection of forty short stories and poems revolving around Luke Warmwater, a Chippewa/Ojibwe (Anishinaabe) Indian living on the Fond du Lac reservation in northern Minnesota, not far from Duluth. Some deal with Warmwater’s tour of duty in and return from Vietnam; most concern life on the reservation, with healthy doses of hunting, fishing, ricing, drinking, and outwitting an unsympathetic tribal government. Northrup never fails to find quotidian humor, and the resilient spirits of Warmwater and other Chippewas transforms the travails of life in their sovereign corner of Minnesota into something universal. Here is Northrup’s bio on Native Wiki. Christine Graef profiled him in Indian Country Today, with a focus on his fishing and collecting of wild rice rather than his writing. Kristin Nybrotts has a poem by Northrup (and several links which look promising but don’t seem to work anymore). Eberhard Wenzel posted another poem by Northrup, from the book. Northrup writes is an a columnist for Indian Country Today, and here are many of his columns. Here, Northrup explains how he got his car. The book won a Minnesota Book Award in 1994. Photo by Richard Robles used under a Creative Commons license. Terry Silber, A Small Farm in Maine (Houghton Mifflin, 1988). 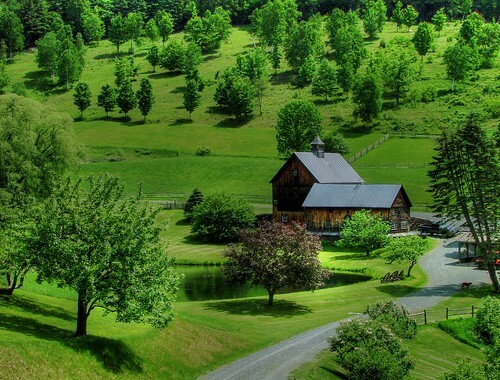 In the early 1970s, Terry and Mark Silber escaped from their workaday life in Boston to a farmhouse between the villages of Buckfield and Sumner, Maine — north and a little west of Lewiston, and miles from the coast. Like many weekend gardeners, they planted more than they could eat, and started to sell their produce at a farmer’s market. Unlike many most gardeners, they decided to abandon their city lives and move to Hedgehog Hill Farm full-time, and to try to support themselves through farming. To make it work, they grew a retail operation, specializing in seedlings, herbs, and dried flowers. This is the story of their farm and their business. 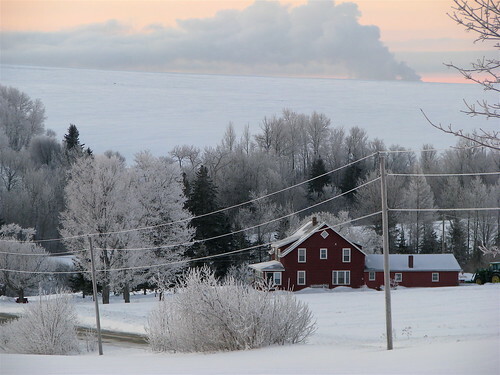 Hedgehog Hill Farm’s website is here, though Mark Silber closed it as a business in 2006 (.pdf). Terry Silber passed away in 2003. AnnMarie (nee Paulukonis — see below) recommends the book to people starting a homebased business. Here is a recommendation from aletheia. Photo by Steve V. used under a Creative Commons license. Tom Drury, The Black Brook (Mariner Books, 2000). A crowded, offbeat, dark novel. Offbeat and mundane characters appear and sometimes reappear, but the story is that of Paul Nash, a native son of Rhode Island and former mob accountant, now known as Paul Emmons through the graces of the Witness Protection Service. Stays in Spokane and Belgium do not last, and Nash, a sort of anti-hero, finds himself working for a newspaper in Ashland, Connecticut, a fictional manufacturing town (The Former Match Capital of the World) perhaps not unlike Danbury, where Drury once worked for a newspaper. The plot has too many threads — a disappearing stream, an affair, a ghost, forged paintings, and more — to summarize nicely, and yet the novel is propelled less by its plot(s) than by Drury’s voice. Google BookSearch offers a preview and more. Here is the first chapter. Wikipedia has this bio of Drury. Luc Sante (The New York Times) calls it a novel of deadpan whimsy. Daniel Handler (a/k/a Lemony Snicket) says it’s one of his favorite novels on Earth. Here is an interview with Drury, after the release of his third novel (Hunts in Dreams). Photo by donosborn used under a Creative Commons license. Ray Bradbury, Dandelion Wine (Bantam, 1976). Better known for his genre fiction such as sci fi, Bradbury based his first novel (1957) on his childhood experiences in Waukegan, Illinois. This is the summer of 1928 in Greentown, a small Midwestern town, for twelve-year-old Douglas Spaulding. 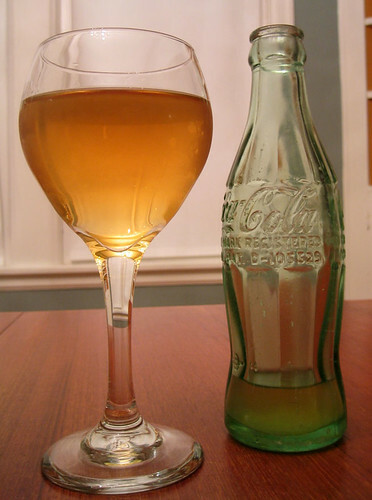 Dandelion Wine becomes symbolic of the way that the summer’s sensations are captured and preserved, a mundane weed transformed into something special. This novel brims with nostalgia. Google BookSearch offers a preview. Bradbury’s site offers an excerpt. Here is Wikipedia’s entry on Bradbury. This site is devoted to Bradbury’s work. Wikipedia offers an extensive summary. Here are reviews: Georges T. Dodd; sara leslie; kelley eskridge; Orrin Judd (he gives it an A+); Highlander; Zverina; Framed; and Andrew Dashin, who didn’t like it. Here is a spiritual perspective from jon zuck. Katie Reese collects all sorts of resources for teachers. Luther Blissit posted an old cover. And this is odd. 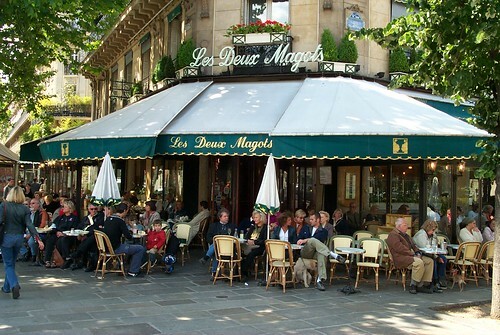 Photo of Les Deux Magots by artandscience used under a Creative Commons license. Janet Flanner, Paris Was Yesterday: 1925-1939 (Harvest Books, 1988). Starting in 1925, Janet Flanner wrote dispatches from Paris under the pen name Genêt as the correspondent for The New Yorker, with the assignment to write about what the French found au courant. This volume collects columns from before the Second World War. Read here about Isadora Duncan, the deaths of Mme. Curie and Clemenceau, Josephine Baker, Manet and Monet, the Munich accord, and the flight of Spaniards to France from Franco’s Spain. Other volumes cover 1944-1955, 1956-1964 and 1965-1970. Stephen remembers Flanner. Here is Google BookSearch on a biography of Genêt. NYRB subscribers can read this 1980 review by Virgil Thomson. The Village Voice Bookshop in Paris recommends it. Viviane quotes Flanner on Josephine Baker.